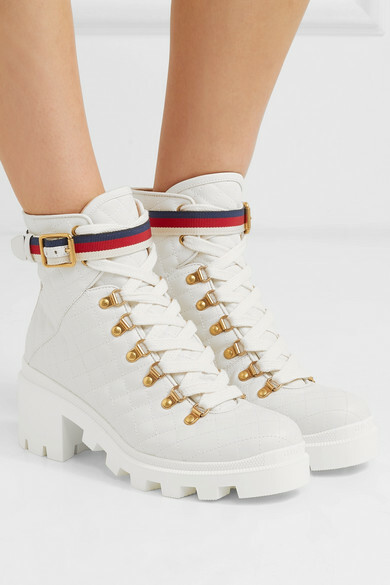 If we had to pinpoint one hero shoe to invest in this season, it'd have to be hiking-inspired boots. 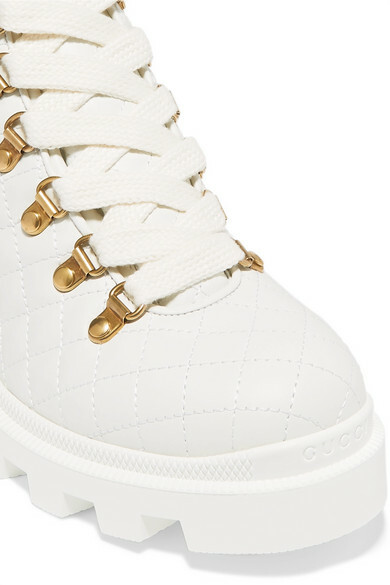 Gucci's take has been made in Italy from quilted white leather and rests on chunky cleated rubber soles. 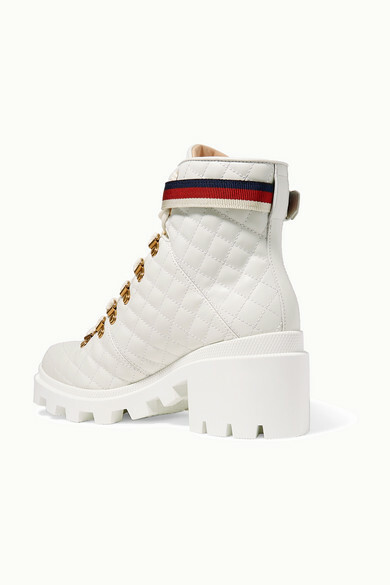 The grosgrain 'Web' stripe strap is easy to detach on days when your outfit is already quite busy. 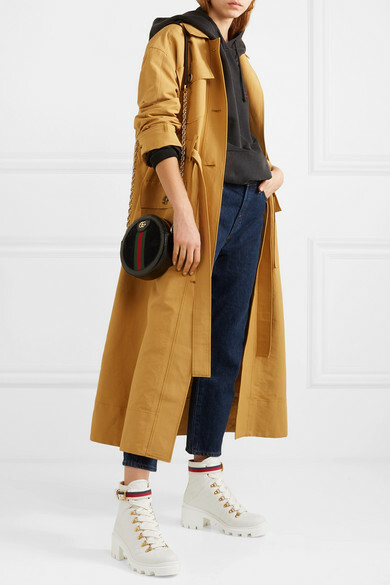 Shown here with: REJINA PYO Trench, Goldsign Jeans, Acne Studios Hooded top, Gucci Shoulder bag, Laura Lombardi Earrings.